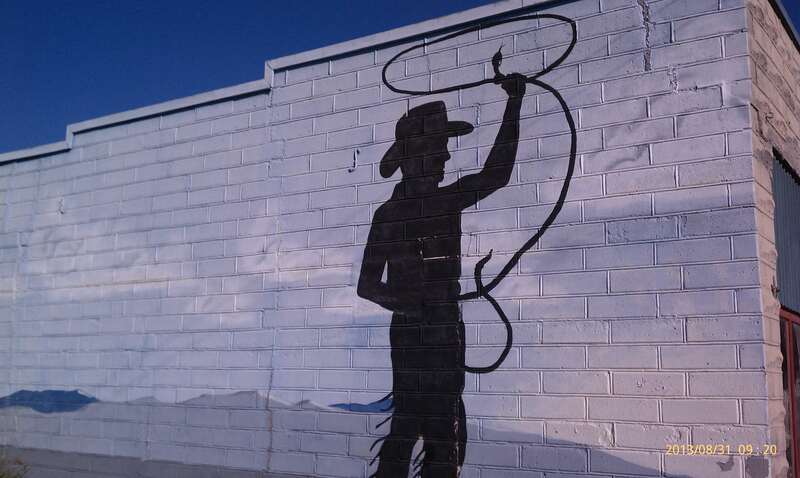 Mural of cowboy with lasso. Murals on old store front too. Pecos Bill swinging a rattlesnake lasso.